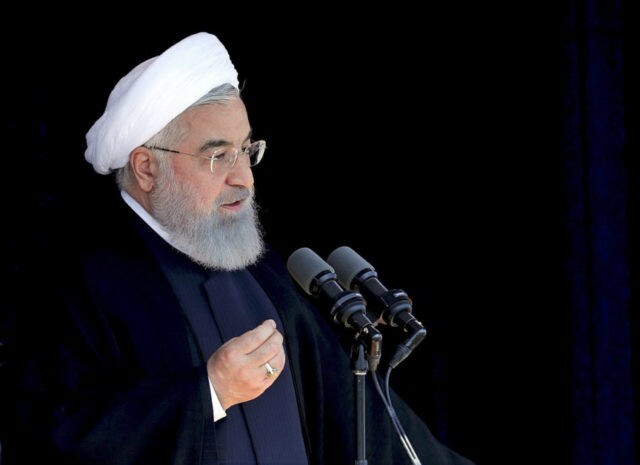 The United States will suffer “historic regret” if it pulls out of the controversial nuclear agreement reached between U.S.-led world powers and Tehran back in July 2015, Iranian President Hassan Rouhani reportedly cautioned over the weekend. On Monday, the president of state-sponsor of terror Iran appears to have changed his tune, hinting that the Islamic Republic may remain in the nuclear pact with world powers even if the U.S. drops out, Reuters reports. I want to fix this deal. … If there’s no chance that we can fix it, I will recommend to the president that we do our level best to work with our allies to achieve a better outcome and a better deal. … Even after May 12, there’s still much diplomatic work to be done. America’s European allies and Russia have suggested they do not intend to leave even if America pulls out. China, a permanent member of the United Nations Security Council and one of the architects of the agreement, reiterated last week that all signatories should continue to uphold the deal. In February, Gen. Joseph Votel, the top commander in the Middle East, cautioned that the lifting of sanctions under the nuclear pact has allowed China to enhance its relationship with Iran. China has deployed troops to Syria to allegedly fight on the side of Iranian and Russian-allied dictator Bashar al-Assad. Muslim Uighurs or Uyghurs from China fighting on behalf of jihadist groups in Syria pose a threat to China. Russia, another signatory to the deal, has demanded no changes to the agreement, further arguing that the withdrawal of the United States would not necessarily end the pact, officially known as the Joint Comprehensive Plan of Action (JCPOA). Except for the United States, all signatories to the deal appear to remain committed to the accord. “[I]n an effort to keep Washington in it, want to open talks on Iran’s ballistic missile program, its role in Middle East crises such as Syria and Yemen, and its nuclear activities beyond 2025 – the year when key provisions of the deal expire,” Sky News reports. “We will not negotiate with anyone about our weapons and defenses, and we will make, and store as many weapons, facilities, and missiles as we need,” Rouhani said.